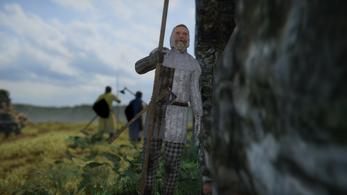 Experience the struggles and wonders of the past in a historical role playing game, featuring real-time physics based combat and immersive tactical campaign gameplay. Order now and access current and future versions of the game, from alpha to the full release! Feel the strength of your blows, see your opponents stumble backwards and use the world around you to your advantage - all based on dynamic physical calculations. Kinstrife combines the fast-paced action of pre-recorded animations with the smooth movement and emergent gameplay of simulated physics. Whether heavy and strong, small and agile or a mix of both, all actors obey the laws of physics - allowing you to create a style that leverages your character's strengths. The result is an immersive and engaging combat system paired with squad-based tactics - challenging both your fighting skills and your cunning. Embark on your journey through the past with your followers. Gain their loyalty and build up their skills - and they will support you in times of need. Whether in battle, in an argument or the struggles of day to day life, you will get by with a little help from a friend. Lay an ambush, scare off intruders or defend the gates - in each of these scenarios, you will need a battle plan to succeed, even if they may be wildly different. Combine detailed tactics drawn up before the fight and orders given in the heat of battle: Form defensive formations, flank the enemy and take advantage of the terrain to achieve victory. Create your character to your likeness. Outfit your squad and yourself with the finest arms and armour the past had to offer. Choose from a vast range of customization options - and rock the courts of diplomacy & the battlefield in style. The past does not need dragons or zombies to tell rich stories with fascinating characters and captivating plots. Experience some of humanity's most iconic periods and settings, based on historical sources and modern academic knowledge. Kinstrife lets you dive deep into the past - without forgetting it's a game and not a history simulation. Support the development of the game by getting the alpha, and by showing your support on the forums! Pre-Alpha Build 2a Out Now! We currently port the project to the newest version of Unity (the game engine we use), set up a UI framework because UI development can be a huge time sing and of course work on campaign continues. Hi. I'm hopping also for discord train as own discord for kinstrife would be useful. How is weaponized combat forming up? I also still prefer that camera stops moving while attacking because it feels very floaty when camera moves while charging attack. But really great update all in all. ps. Are physics working under 60fps? I get 140fps ingame or so and still movement seem like it's working somewhere between 30-40? Hey. I have 2 questions before I buy the game. full release) is this true? (2) Will my copy of the game (purchased at this time on this site) be available to me in Steam after the release? (2) In short: yep. Once we release on Steam, people who got the game on itch will receive steam keys. Alright,first of all,i want you to know how much I WANT to buy this game. Whenever I see words "physics based combat",i am already sold out.Sadly,there is no way for me to support you,since I can't buy this game via credit card.Still,i will do my best to support you guys in any other way I can. Also sadly,even on steam,i won't be able to buy the game,since i do not have a credit card. I think you guys are doing God's work with this and I wish you the world. I only hope that eventually the physics based gameplay and combat become so optimized that people can play faster and plan ahead more easily. I think that should be the current goal for games like these. We shipped a lot of performance optimizations in the last update, so things should be running a lot smoother. Combat speed is a tricky thing to balance. We're convinced it needs to be a bit slower than in real life to offset the reaction penalty you have because of the additional input layer (think keyboard & mouse input.) Another thing to consider is that movement has 'weight' in our game, so it's not possible to cancel an attack and immediately blocked. As you said, planning ahead is an important aspect there. However, this poses another difficulty by itself, because with physics, there's very emergent and dynamic gameplay which is even very hard for us as developers to predict and plan ahead for. All in all, these are things we want to balance based on feedback in the community. We are also in the middle of setting up infrastructure that allows modding, so people can also directly change some of the physics and weapon stats by themselves to see what they like best. Thanks for replying. I was incredibly surprised by the array of options available and they made me feel much more comfortable immediately. Best I could suggest for it is an in-game keybind menu. Was blown away by the FPS but still a little confused as to why it still felt choppy. You said you're working on the weapons right now? Shouldn't the footwork get more attention first? Or you doing both? And you say that but that was some of the fastest and most realistic fist blocking I've seen in any FPS besides maybe COD. We're approaching those speeds. How do you balance fast, close and dirty combat in the heat of the moment? Is it balanced in real life? The only plans made in those moments are usually instinctual. By the way, could you give a tutorial on the attack system and explain it? The UI looks angle based but there only seem to be four moves... And if I only move the dot a quarter outwards, the punch either looks like I extended my hand a little or it juts out away from the reticle. If there're only four moves and they need to charge or whatever, why not just use MB Warband's attack system? And have you considered adding eye/headtracking support if you want angled attacks? The camera locking up really shouldn't stay. Thanks for the elaborate feedback! It's super helpful and actually the main reason we are making the game available at such an early stage. That feeling of 'hm, something doesn't add up quite right' yet about the flow of things is something we want to balance out with feedback from the community. As you mentioned some issues with the input system - maybe that could be the 'missing part' that kinda puts you 'out of the flow'? You're also right that there's not a lot in the way of tutorials or introductions - this is something we want to tackle soon. We have not done so, however, because we haven't settled on a control scheme yet. This is a topic we've put a lot of consideration into - one of the things we've decided was that unarmed and armed controls are going to be different. This also ties in with your observation that there only seem to be ~four moves: This is actually due to the fact that there are only really three types of different boxing attacks - straights, upper cuts and hooks. They may target different body targets and be executed with either hand, and their angle may also change slightly. But they are generally limited to pretty narrow angle ranges that also do not really transition very fluidly. This is of course because we for now take grappling, throws, choking, clinching and elbows out of the equation. By the way, have you explored the different attack control schemes (e. g. drag & release etc.) yet? Any thoughts on that? Regarding footwork - Do you mean general combat movement or how footwork aligns with attacks? The former is actually because we currently do not have proper animations for combat locomotion. You'd be surprised, but the majority of combat locomotion uses crossed feet... Which can be especially fatal with physics based combat and tripping ;) It's very high on our list of graphics-related things we want to get replaced, though! As for speed - that's a good question and may even be up to personal taste in games. As you said, reactions in real-life are very instinctual - trying to put up one's hands to protect the face is a super important instinct. But also reactions like 'uh oh, I should probably duck now and avoid that hook' are very instict-based - which is not an issue in real-life because that very easily and naturally translates to movement of the body. But with games, it has to go the route of remapping that to a game control scheme and clicking buttons. There's certainly going to be a noticeable delay and it's something we need to keep in mind. You are almost a god to me at this moment with your willingness to submit this even longer reply. Why don't we just add each other on discord and chat like buddies? Hey kinstrife! I have read a few of your updates and devlogs and just purchased the Alpha preview. It is very exciting to see you all build something out of passion despite lacking funds. I will play around with alpha, and keep my eye out for a few more devlogs. Hopefully I can support on a monthly basis soon after that! Wow that's very generous to give the full game for 5 dollars! I'll have to try it out when I get to my good computer. 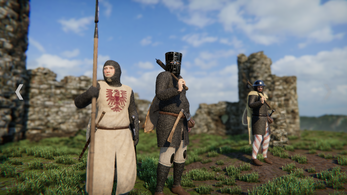 Would you say you guys are inspired by Mount and Blade in anyway? Speaking of physics based combat you might also want to check out the Examina game as well. Good luck on your game! We certainly are inspired by Mount&Blade! Funnily enough, we met on the game's forums and also modded that game. 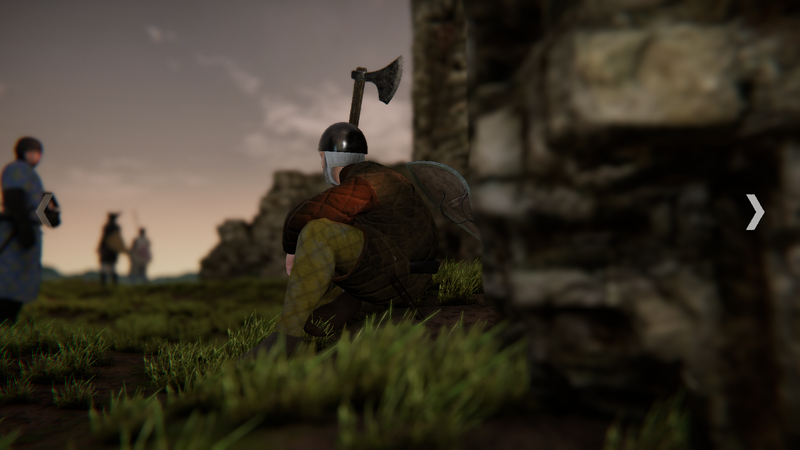 We have also clocked in dozens of hours in Exanima and are following its development with great interest as well. 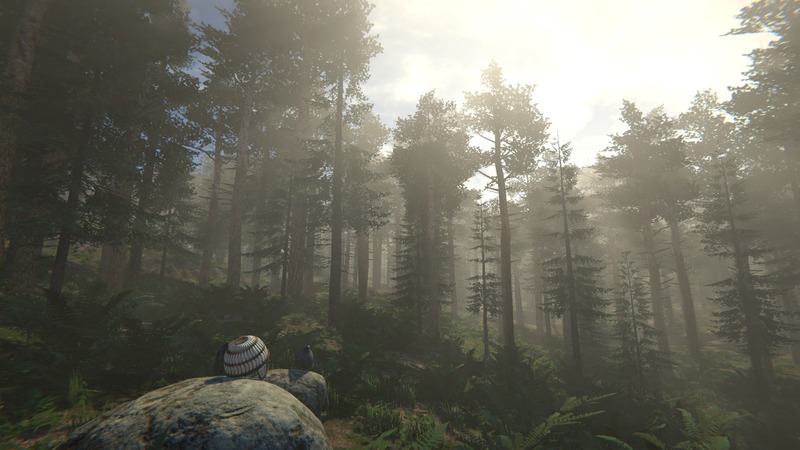 We have our first devlog scheduled for the next few days that will shed light on the hows and whats of the release! You're quite quick in declaring a project dead ;) First of all, we're still going strong and soon have lots of cool new things to show. Expect a dev log in a couple of days. Second thing, we don't do this full-time, so sometimes things just get in the way of development. That is bound to happen until we can support ourselves from developing the game. Third: We've been working on the game (before going public) for years. We're not just going to throw the towel just because we haven't posted an update in a couple of weeks. We're still in the middle of figuring out how to go about this whole public communication thing. We're still very much behind this project (as our response rate may indicate) - we're just having a hard time communicating that progress. Since we've been developing in 'seclusion' for so long, we still need to find a good groove to keep you guys in the loop without diverting too much time from actual development. We first thought streams would be a good idea as well as video dev logs. We then found authoring those too time intensive, considering that we have to, you know, develop a game :P We then scrapped the video production mid-process and decided it's better to keep it for major updates. Hey. Today I bought your game and I'm delighted. Very much like Exanima, but much steeper. I would like to see in the game weapons and optimization. But for a team of two people it's very cool. I wish good luck in working out! Hey, thanks for the supportive feedback! 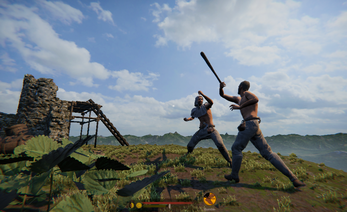 We're super happy about the comparisons to Exanima - it's been one of our references for how dynamic we want our combat to be. Armed combats is currently being finetuned and we're planning to publish more information during the weekend, so stay tuned! When you will add weapons? 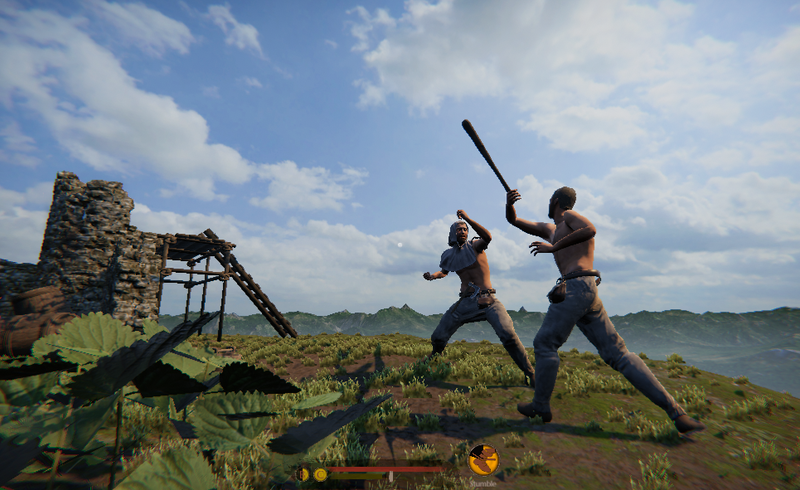 Due to popular demand we're going to add an early version of armed combat (with some low-level weapons), as well as a more performant brawl scene on high priority. Hopefully this won't last more than a few weeks, but don't pin us down on it! Thanks pequiq! That's spot on. So how much time left to wait for update? First of all the game and concept is amazing, but I havea question, if I buy the 5$ version will I get the full release aswell? You pay for the current version and get future versions all the way to the full release as we sincerely appreciate people supporting us at this early stage. I will surely support this project, if I may ask, how many people are working on this project? Great to have you on board then! We're currently a team of two, and we've become quite efficient working with this team size. We will soon start doing dev streams for a look behind the scenes for our patreon followers, too. Yes, we will be handing out Steam keys to people who bought it here, as soon as we go live on Steam! The game won't be free anytime soon, but we will release a free demo version in the future! How far away is armed combat? Can't wait to smash some heads with swords and axes! Sounds really cool! Thank you for answering! This game looks like it is going to be awesome once it is completed. I only had two major issues I wanted to address (other than minor bugs). The first is that the controls are very frustrating for me to play on my laptop. It runs fine, but it is nearly impossible to turn the camera using the trackpad while walking or running. I am using an HP omen, just to give further detail. Do you plan on allowing controller (Xbox one, specifically) use for this game rather than just the keyboard? The second thing, and this could definitley just be an oversight on my end or something I am doing wrong, but there are no other NPC's in the courtyard with me and I can't seem to go into any other areas where there might be, so I didn't really get to test out any of the hand to hand combat. Other than that I am very excited for the continuing progress on this game, it looks like it is going to be phenomenal. Hi & thanks for giving the preview a go! We hadn't anticipated on people trying to play using the trackpad, so everything is tested with a mouse and keyboard. We did include controller support (I will update the ingame cheat sheet), however that is only tested with an Xbox 360 controller so far. You should be able to plug in the controller at any time and control the character with that. The courtyard is to display your creations so as soon as you create multiple characters, they will all show up in the courtyard. 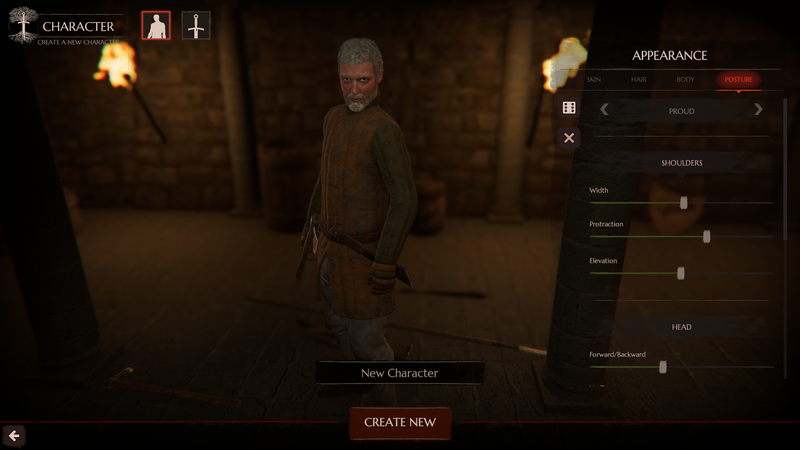 You can also spawn random characters by pressing 'insert' while in the location. Thanks for the feedback, and good to see you're on board where we want to take this going forward! Hi, thanks for the encouraging comment! 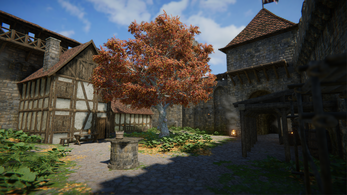 We do agree that we need to make improvements to performance, especially the courtyard scene has not been thoroughly optimized. This is one of the reasons we're showing this as an alpha preview; we believe it is the first version we can give out to people to show our vision and our work so far, but we're at the same time aware that there's still a lot to be done, including performance optimizations. Out of curiosity, how do the other parts of the game run for you and what are your system specs? I have gtx 770, i5 4670k and 16gb ram at 64bit OS. Main menu and Armory works at 45/60+ fps (almost smoothly) as squad show case and caste run at 30 or below. Still the potential is great. For me this lands somewhere between exanima and overgrowth (where exanima is my all time favourite and overgrowth is good but still meh) Not bad at all for an alpha preview! I see, ideally, we'd want the game to run @ 1080p on high settings at least at a stable 30 FPS with such a setup. 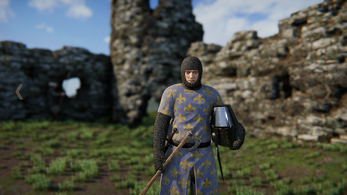 Since Unity (the game engine we use) currently also does a lot of work on optimization, I'm hopeful we can get closer to that goal in the coming months. But we're very excited to hear you've enjoyed this preview and hope you'll stay tuned for the next updates! If you'd like, you could also drop in on our forums for more feedback & discussion on ideas for features, improvements, etc. Cheers! Hi! Physics in the game are based on the PhysX framework, so essentially simplified/streamlined numeric rigidbody physics. In addition to that we also fine-tune e. g. collision reactions by applying additional forces based on the state of a character, for example to simulate muscle strength and/or constractions. Does the game take a performance hit by using the PhysX framework? Can you still have realistic body physics without it? Running a lot of physics computations is definitely resource intensive, but to some extent necessary for the interactions that make up physical combat. So, no, it's not really feasible to attempt physics based combat without a framework like PhysX, especially not for a super small team like us. What we will be doing, however, is trying to utilize the CPU more fully (as in, make better use of multi-core CPUs) and see where we can offload some potentially computationally expensive stuff into more streamlined/simplified versions handled through custom code.